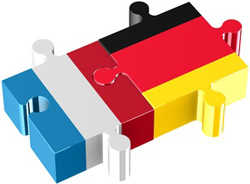 Which energy efficiency models for France and Germany ? | Energy 3.0 : the webmagazine about energy efficiency. 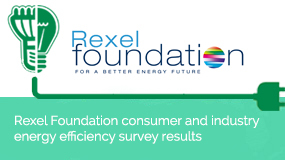 Thanks to the cooperation between the French Institut Montaigne and the Foundation Genshagen in Germany, the polling company Harris Interactive surveyed Franco-German public attitudes to energy policies. It was conducted on two respondent samples from September 22 to October 4, 2012. 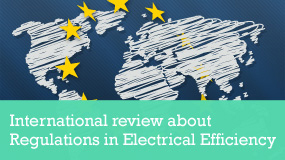 The results can be compared with a late 2011 survey by the French policy research institute IDDRI (Institute for Sustainable Development and International Relations), which assessed energy efficiency policies in both countries. Overall it seems that both models as well as public attitudes to the issue are similar. Today energy efficiency seems to be a leitmotiv for both industrial powers, both in terms of environment and competitiveness. The Odyssey Energy Efficiency Index (ODEX, sector-based consumption reduction measurement programme designed by the ADEME, the French Agency for the Environment and Energy Management and supported by the European Commission) testifies to the same trend towards an overall reduction of electricity consumption in both countries. Nevertheless, a sharper analysis is needed to qualify this general observation. The industry is undoubtedly the sector where Germans have most improved, with a 24% decrease in energy use (- 17% in France) between 1991 and 2008. Conversely, in the housing sector the French ODEX decreases most (-25%, compared to -21% in Germany). Germany seems to be far ahead as far as transportation is concerned, with a 20% decrease, versus a 13% decrease in France. Such energy saving trends also echo public concerns, mainly over energy prices. Although energy mixes are very different in France and Germany (see our article on the European energy mix), citizens in both countries assess energy policies based on the same benchmark: energy prices. Supposedly, more and more French people see affordable energy prices as a prerequisite for the energy transition, whereas around 30% of Germans are more inclined to accept a lower purchasing power for the sake of the environment. Besides, on the one hand, Germans approve of their country pulling out of nuclear power, and on the other hand the French consider that their government was right to carry on the national nuclear energy programme. However and quite paradoxically, over 50% of French people support Germany’s phasing out initiative. In spite of remaining national differences, Germany and France have long followed a similar path, which should lead their energy policies to be complementary on the long run. That’s what the recent column signed by the Minister of Ecology and the Minister of Foreign Affairs seems to suggest (Delphine Batho, Laurent Fabius : « Il faut bâtir une Europe de l’énergie », Les Echos, 11/16/12).